Even with the most beautiful, cutting-edge website, you could be missing huge opportunities to convert your users into leads; you need to give them a reason to reach out to you! Our team of professional authors can create book offers that entice your users, target your perfect clients, and generate more business. Organic content is the best way to get the conversation started with serious prospects. Users who are downloading books are doing their research on topics that matter to them—what better way to weed through the tire-kickers and communicate with your perfect clients? 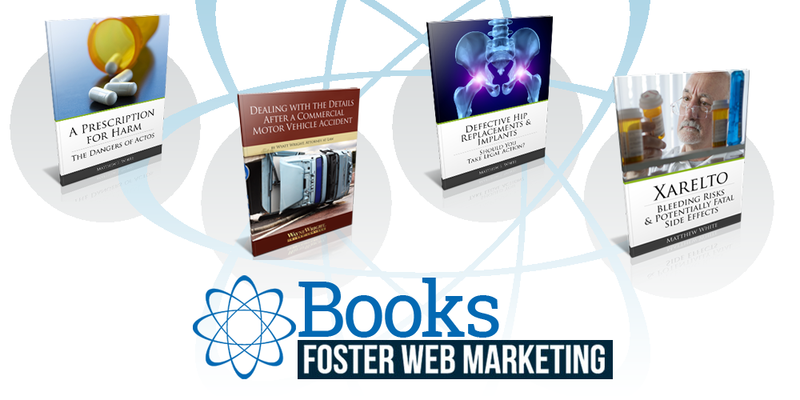 Our clients have seen huge success by providing book offers on their websites. 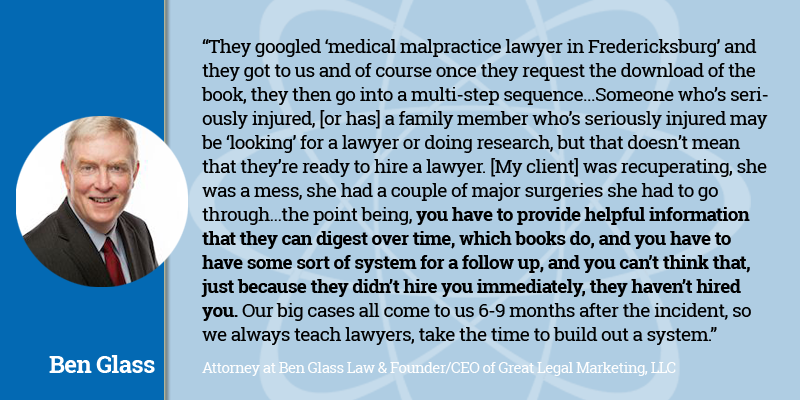 In fact, one of our clients landed a $1.8 million case from a free book offer on his site! And, most importantly, generate more legitimate leads. If you're ready to get started, simply purchase below! Have questions? Fill out the contact form below to learn more from our professional writing team! Includes landing page, thank you page and email, book writing, editing, loading, book cover, and formatting. Includes landing page, thank you page & email. Price for printing depends on the length of your book, the quantity you'd like printed, and design. If you are interested in printing your book, please indicate on the form below and we can discuss pricing during a scheduled call. Interested in an automated follow-up campaign? We can do that too! We'll create a series of compelling emails to remind your leads who you are, why they should work with you, and how to start building that relationship. This is an excellent opportunity to become a thought leader in your field. Fill out the form below, and we will work with you to determine the right topic, strategy, and plan of action. Do you have book topics in mind?